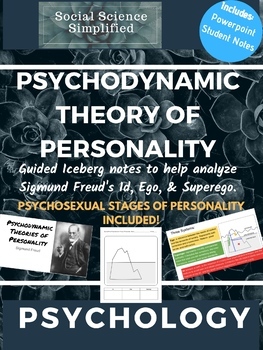 Teach your students about Sigmund Freud's Psychodynamic Theory of Personality using guided "iceberg" notes for students to analyze the Id, Ego, and Superego. They will also take notes on Freud's Psychosexual stages of Personality. 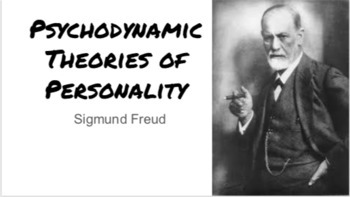 -A powerpoint on both the Psychodynamic and Psychosexual theories of personality according to Sigmund Freud (fully customizable). 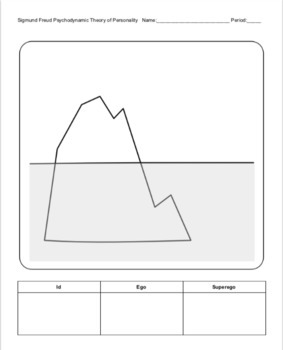 -A student "iceberg" notetaker (fully customizable).